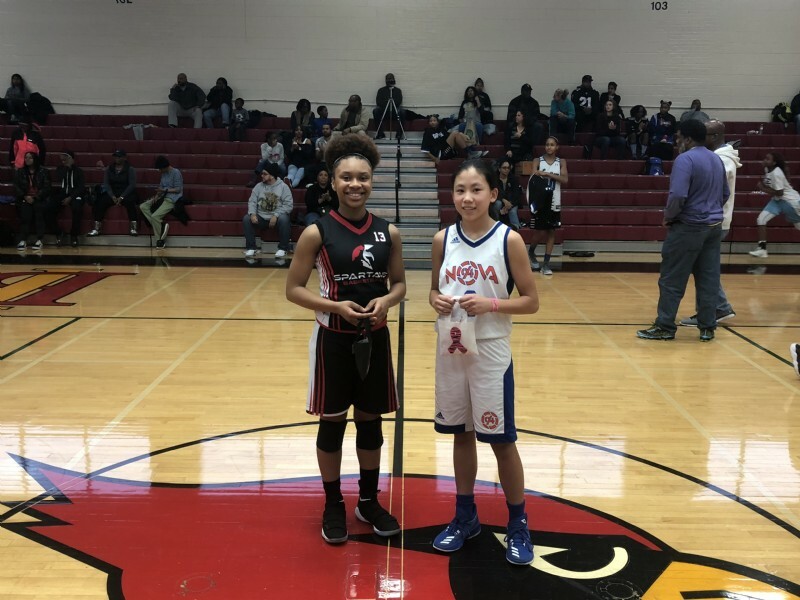 The Mid Atlantic Girls National Basketball League (MAGNBL or Mag League), is in its 12th season and today showcased its 12th set of all-star games. Players from the 2nd through 8th grade were selected as the league's top players in their respective classes. Games started at 9:00am with the Baby Baller Game, featuring 2nd-4th grade players, then progressing to the Junior Baller, Junior Varsity, Varsity, College and Pro All-Star Games. Next Sports Phenom & 695Hoops along with special guest James Nichols were in the building for the six games during the day and a first look at the future of the DMV. The first game of the day had multiple outstanding performances with the MVP awards going to 2027 Nyair McCoy- Team Sol and Geornae Davis- Team Select. Also impressive were 2027 Laila Bonda- Team Select, 2027 Alexis White-Team Sol, 2027 Ayanna Quintero-Team Select, 2027 Kinsley Beckham-Lady Warriors and 2027 Jenna Jefferson- Lady Warriors, Jenna being my MVP selection if I had a vote. This game didn't have the excitement of the Baby Ballers game, but the talent was still there. Game MVP's were 2026 Brianna Easterling- Southern Maryland Spartans and 2024 Layla Burton- Lady Prime. NSP thought the MVP could have easily went to 2025 Ava Sewall- Team Intensity, who had an outstanding game, but acknowledges the two that won were deserving as well. 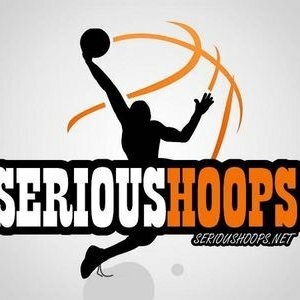 I want to also acknowledge solid play by 2025 Nilja Robinson- Lady Prime, 2026 Ja'Saih Marbry-Lady Prime, 2024 Klhoe Wallace-Lady Tigers, 2024 Logan Gilmore-Lady Tigers and 2024 Simone Newton-Team Intensity. 2025 Emma NuQuay-Southern Maryland Spartans was the clear MVP choice while 2025 Makalah Mitchell-Lady Primes was the co-MVP from the black team. Other players that stood out in this game were 2025 Anaya Wilson-NoVa 94 Feet who played very well, 2025 Samia Green-Lady Prime and 2025 Marshea Fisher. 2024 Kennedy Umeh- Maryland Belles earned the MVP for the pink team and 2024 Kasey Rappaport- Germantown Lady Panthers took her MVP award with a buzzer beating 3 pointer giving her team a 33-32 come from behind victory. The white team trailed by as many as 9 points in the final 90 seconds before the Rappaport game winner. Other notables in the game were 2024 Trinity Turner- Germantown Lady Panthers, 2024 Taylor Timms- Southern Maryland Spartans, 2024 Madison Moore- Power Move, 2024 Ayanna Gibson- Maryland Belles, Elyssia Brown- Transition Queenz and 2024 Sierra Georges- Maryland Lady Tigers. This game had true middle schoolers with a 7th/8th grade mix. 2023 Abby Cooch- NoVa 94 won MVP for the white team playing the point guard position how it is supposed to be played, while 2022 Chanta McNeil-Southern Maryland Spartans played solid from the start to the final horn. There was great action throughout this game with multiple players that had MVP type performances one being 2023 Jade Tillman-Team Takeover. 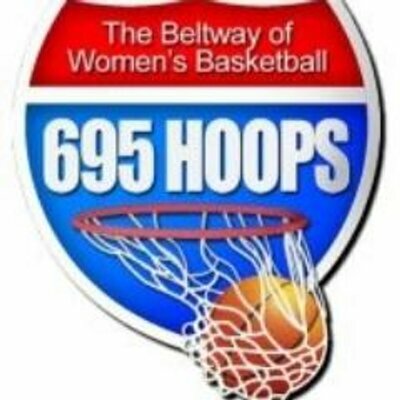 Other standouts include 2022 Fadima Tall-NoVa 94 Feet, 2022 Kennedi Rooks-Potomac Valley Vouges, 2022 Kameryn Dorsey- Fairfax Stars Baltimore and 2022 Marley Sanders-Farifax Stars Baltimore. The much anticipated game of the day lost some of its steam as DMV's #1 ranked player 2022 Kiki Rice- Germantown Lady Panthers was scratched off do to an ankle injury, that didn't stop others from showing out looking to take that spot. One of those players was game MVP 2022 Yonta Vahghn- Team Sol who started off the game with 7 points within the first minute. On the white team Nailah McBeth- Germantown Lady Panthers took the MVP award with an impressive double-double. There was also solid performances from 2023 Simone Lewis- Team Takeover, 2022 Nekhu Mitchell- Powermove, 2022 Ashley Thomas- Maryland's Finest, Taniyah Lawson- Lady Prime, 2022 Mia Smith 1 on None and 2022 Myah Simmons- Team Takeover. Next Sports Phenom will continue to follow these players progress and look forward to seeing many of them at the She Got Game Middle School Combine on February 19th at Elizabeth Seton High School.